Athletic Propulsion Lab is a relative newcomer into the shoe marketplace. 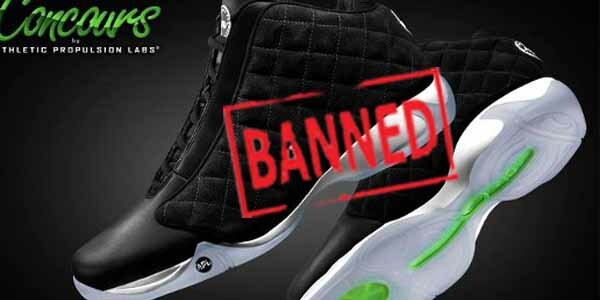 While the Air Jordan I was simply outlawed to components relating to “flare,” APL saw its shoes outlawed from the Association due to an “unfair competitive advantage” the shoes gave to its wearers. The shoes’ Load ‘N Launch Technology increases players’ vertical leap, so even though they couldn’t get exposure in the league, being banned just shows that they are the real deal.